Social media sites such as Facebook, Instagram, Pinterest, and Twitter provide a valuable opportunity for marketing your self storage business. They are free to use and make it easy for you to connect with both existing and prospective clients. In the 21st-century business environment, they are essential tools you would be wise to take advantage of. Your social media profiles should all include your business logo, contact information, and any images that you use in your marketing efforts. Your profiles need to reflect the image you want your clients to associate with your business. Create a regular schedule for posting and stick to it. Try not to put more than one post up per day. Otherwise, you will quickly overwhelm your followers with information. Also, don’t let your profiles languish, as this can cause your followers to lose interest. Engage your page fans and followers. Answer the questions they ask, and be sure to respond to messages promptly. The algorithms used by social media will keep your posts in front of fans that you engage. Give your followers information they can use, such as tips and advice. 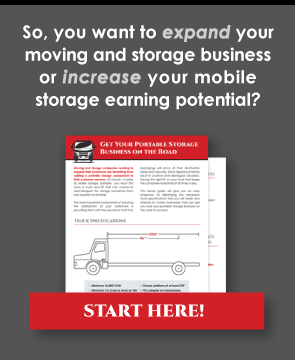 This not only keeps them interested, but also establishes your self storage business as an expert in the industry. Use photographs, videos, short paragraphs, links to blogs, etc. Give your followers information that is interesting and will keep them engaged. This creates a diversity of information that keeps your posts from feeling bland and stale. Resist the temptation to share things that you find personally interesting. A cute picture of a cat? A funny video of a dog chasing the mailman? Don’t share these. If it’s not directly related to your self storage business, don’t post it. Keep your social media profiles focused solely on what you do. The exception to this is when it comes to community news and things that have an impact on the community. Don’t hesitate to promote special offers, discounts, or information about upcoming rate changes. It’s normal and expected that you will use your social media profiles to market your self storage business by posting PDFs of brochures and other marketing materials that you create. Use it to collect payments. It can be hard to track down clients who owe your business money. Social media gives you one more option to look up clients and contact them. By sending them messages via their social media profiles, you may just remind them that they need to make their monthly payment. Social media is continually evolving. You don’t need a presence on every site, and it will quickly overwhelm you if you try to do so. Instead, stick to the large sites like Facebook, Twitter, Pinterest, and Instagram where most of your clients already have profiles. Tie your social media presence to other businesses in the community. These include real estate agencies, apartment communities, movers, colleges, etc. They serve your clients and can help route them in your direction. Social media is an invaluable tool for marketing a self storage business. It’s free and easy to use. Most importantly, it generates a considerable amount of interest in your operations. The time spent building your social media presence is invaluable to your marketing efforts.